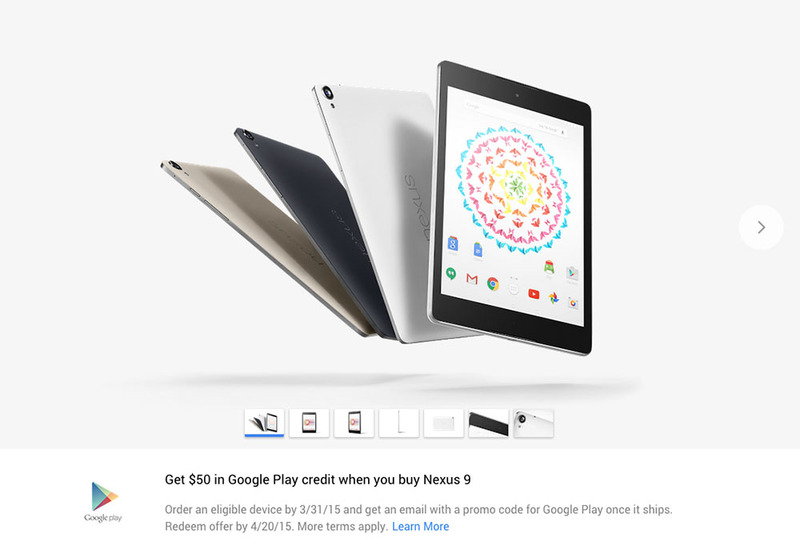 From today through March 31, should you buy a Nexus 6, Nexus 9, or an Android Wear device through the new Google Store, Google will hand you $50 in Google Play credit to spend as you please. If you choose the Sony Smartwatch 3, you will save another $50, as the GPS-equipped watch’s price has been slashed from $249 to $199. According to the terms, you will receive your Google Play credit once your device ships, but you must claim it by April 20, 2015. The credit is then good through September 1, 2015.